Frame pad for 13ft 390 octagonal trampoline. 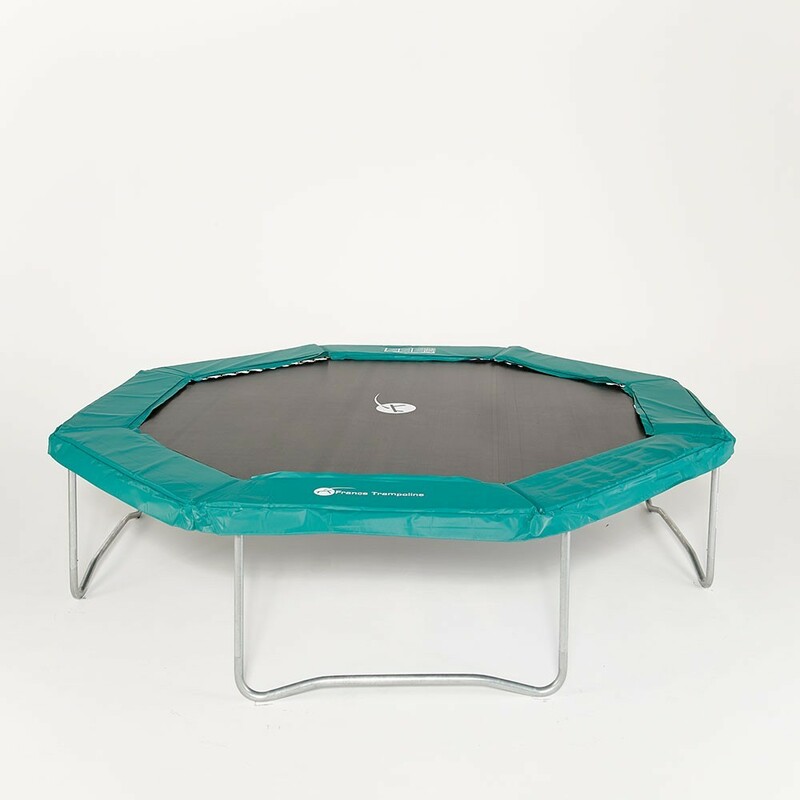 To ensure your safety on a trampoline, one of the most important features is the frame pad. 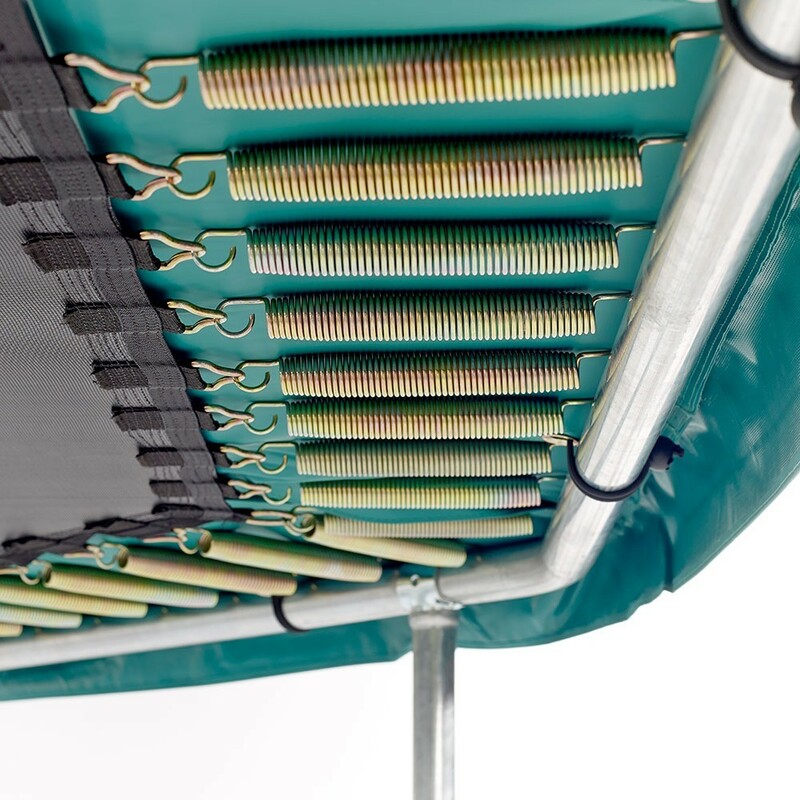 The pad prevents access to the springs and adds a padded area in case of any falls outside of the jumping mat. This spare part is adapted to all octagonal trampolines, from France Trampoline’s range or even another brand, as long as it measures exactly 3.96 m by 3.66 m with springs no longer than 230 mm. - This Premium frame pad is adapted to our Waouuh range but also trampolines from other brands with the same characteristics. You should measure the exterior diameter of your trampoline from the edge to edge. - This Premium frame pad is made from a 30 mm thick expanded polyethylene foam monobloc. It is highly flexible and resistant, making it a high quality product. - All of our frame pads are made of a single foam monobloc. 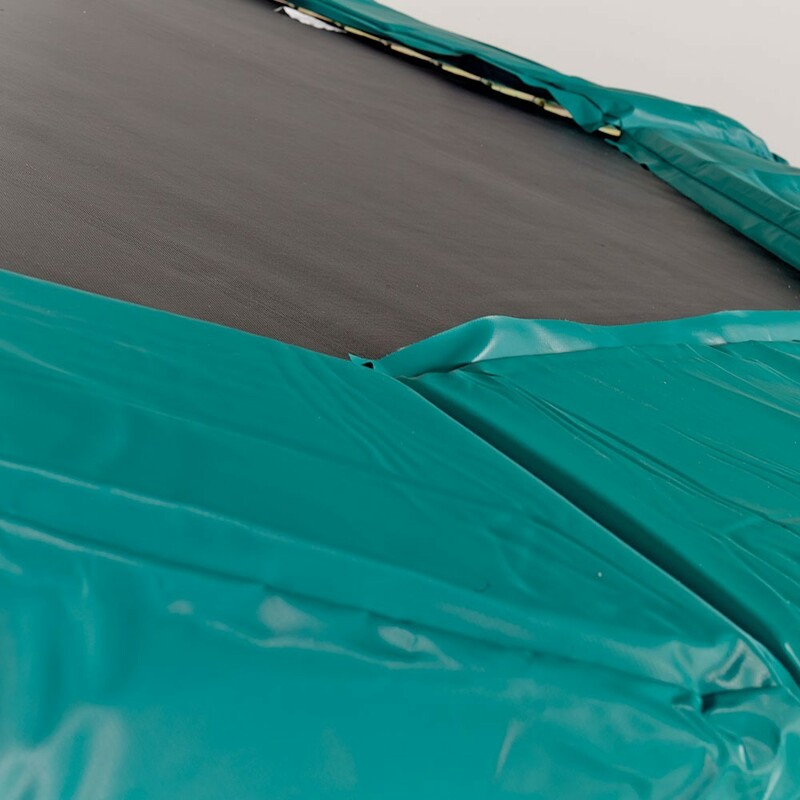 Contrary to most products on the market, France Trampoline’s frame pads are very shock-resistant and will not disintegrate. 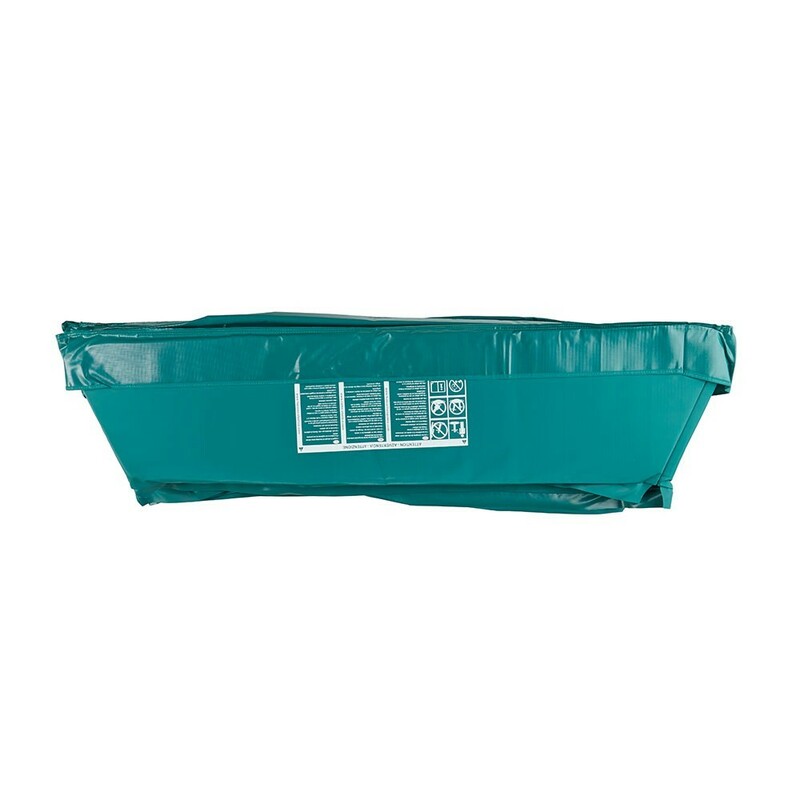 - This technical foam is covered in 0.55 mm thick PVC which is deep green. It has been UV protected which guarantees a high durability. 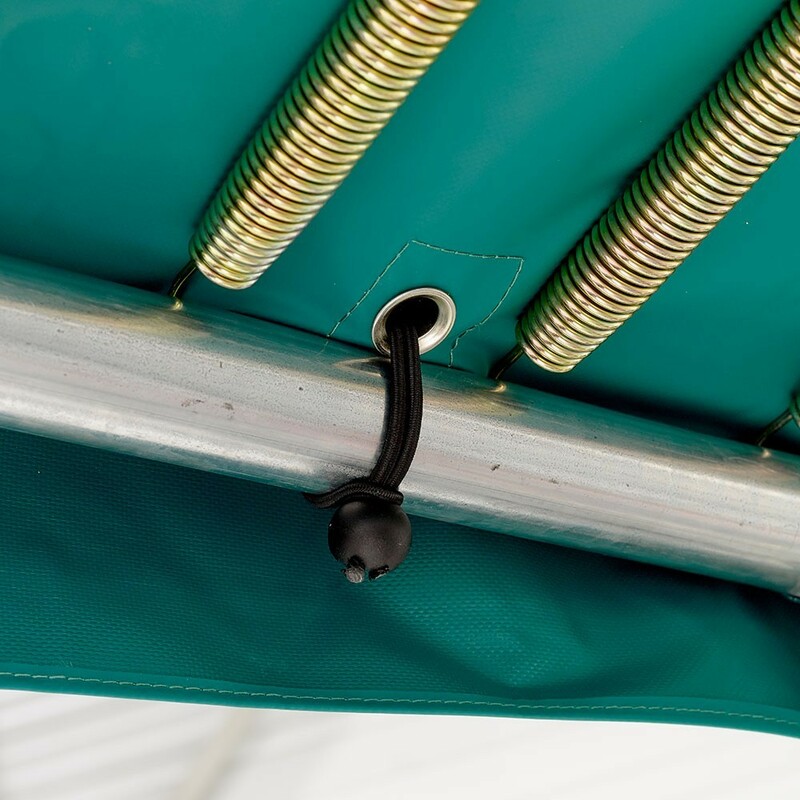 - In order to attach the frame pad to the trampoline, 16 elastics are inserted into eyelets sewn beneath the pad. This is a better way of attaching the pad than using simple fabric straps, as the frame pad will rest slightly above the springs and is less likely to get torn. 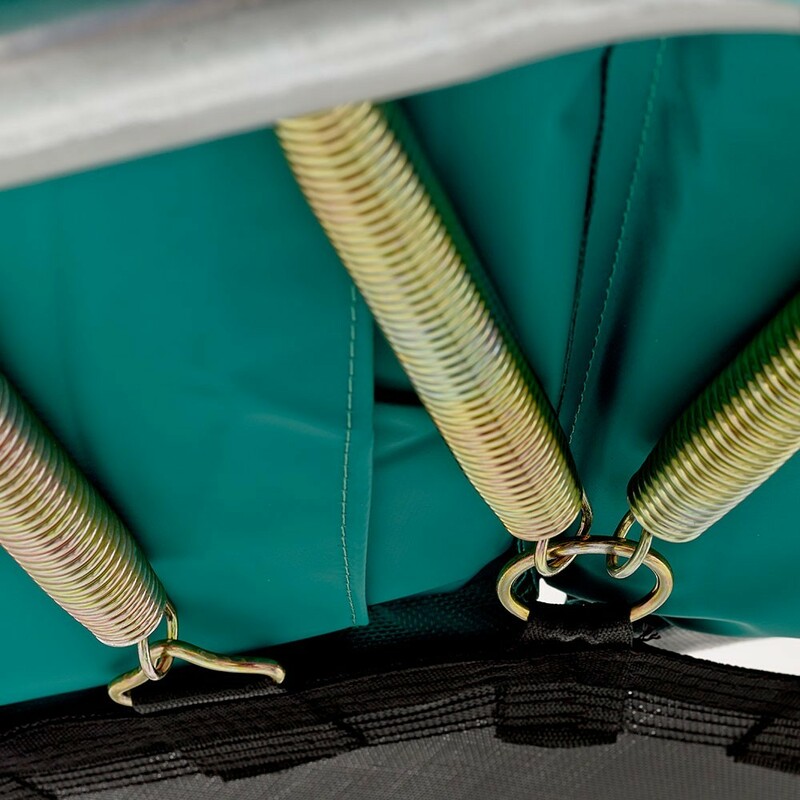 The springs can continuously rub against the underpart of the frame pad, damaging it, the elastic straps stop this from happening by leaving a slight space between the two. Le produit en revanche donne satisfaction.